While not the best entry in the Star Wars franchise, Episode XIII still has plenty to offer longtime fans. 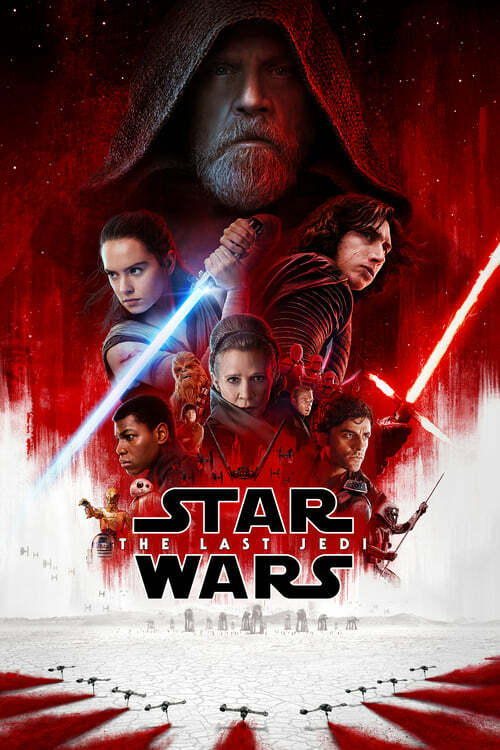 The Force Awakens was a huge hit when it was released, so the hype for the next entry in the Star Wars saga, The Last Jedi, was off the charts. Sadly it didn’t deliver like fans had hoped, as glaring issues from plot holes to shoddy pacing and direction to deus ex machina moments (there’s no way out of a base near the end but then an exit magically appears) dampened what could’ve been another great chapter in this saga. Still despite its numerous issues, there’s still some glimmers of hope and classic Star Wars fun to be found here. Travis has a review of the theatrical release that you can take a look at for full plot details and more, which leaves me to give my take on the film. I’m basically in agreement with what Travis said on the film as I did find myself enjoying it in the end, but you can’t help but be annoyed / disappointed with the numerous issues the movie has. It made me feel as though way too much was given to director/writer Rian Johnson and he couldn’t handle both writing the script as well as directing the film and it shows badly. More times than not the movie tends to go all over the place with its pacing where something cool is happening one moment only to be followed by something unnecessary. A perfect example is any moment Finn and Rose share the screen you can tell their “story arc” comes off as bland filler for the film. I could go on all day with the other issues such as most of the rebels wanting to commit suicide (there’s so many scenes where they want to sacrifice themselves to save others, that you can make a drinking game out of it), to the deus ex machina moments like the one I mentioned earlier (there’s also another I don’t want to spoil dealing with General Leia where I’ve had people tell me it made them want to walk out on the movie). They even turned Rey into a “Mary Sue” where she magically knows how to use a lightsaber by waving it around a few times. Instead, I’ll focus on some of the things I did like such as Poe and the comedic swagger he brings to the table, and of course seeing Chewbacca and the silly but cute Porgs. There’s even moments that brings back the feeling of the classic Star Wars films such as the space battles and action-packed bits touched with that humor only these films could give us. It’s also nice that John Williams returned to score the movie, but his work here feels a bit off when compared to his basically perfect previous ones. Any true fan will tell you Star Wars: The Last Jedi isn’t the best entry in the series, but it still has enough moments here and there to keep you – and longtime fans – invested. It’s a shame really, as you can tell if the film had some more time and care it might’ve been just as good, if not better, than The Force Awakens. So go ahead and give this one a chance, but here’s hoping the final entry can redeem this Jedi.